Did you know that your skin replaces itself about every 30-60 days? Essentially your skin does exactly what a snake's does, but in a bit more secretive way as we don't shed our skin in such an obvious and unappealing (no pun intended) way. With this little factoid in mind, we also need to understand that we can do things that encourage healthy skin cell turnover or premature skin turnover which can damage our skin. The skin on our face is quite delicate, especially around the eyes. 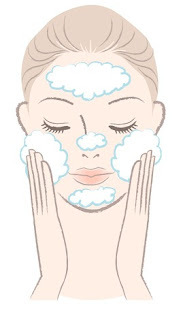 When you are creating a skin care regimen for promoting healthy skin and complexion, think of your face as if it were fine China or delicate Italian silk. 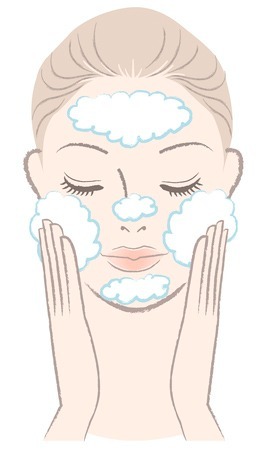 The method and the products you use to care for your face should be gentle. Young Living has created two gentle cleansers that help wash away impurities and the cares of the day. The ART Gentle Cleanser contains Frankincense, Sandalwood, Lavender, Melissa, and Lemon Essential Oils, Orchid Extract, and other plant-based ingredients that are wonderfully cleansing and nourishing to the skin. 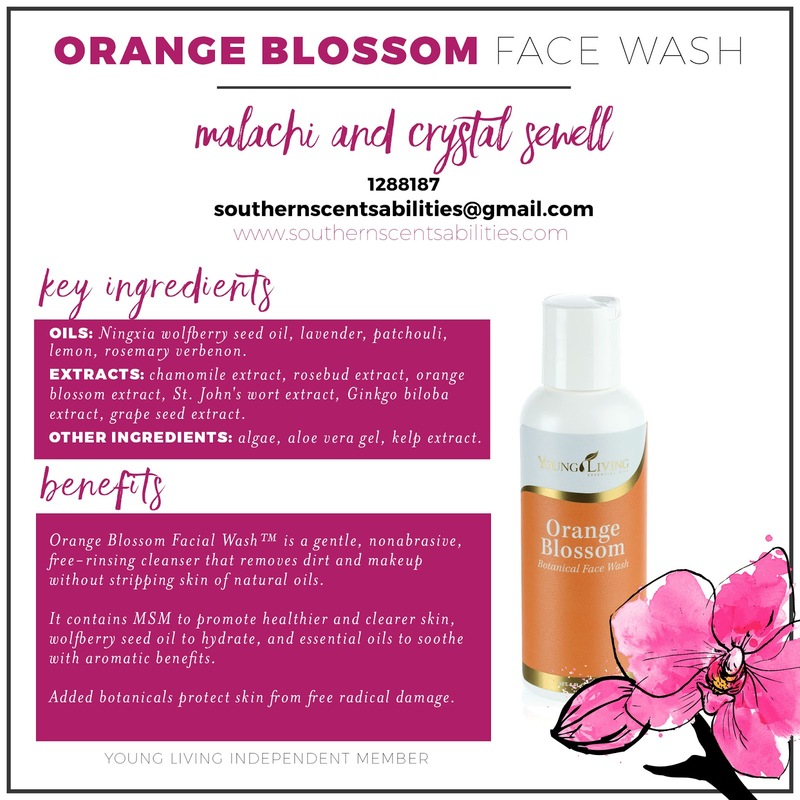 Young Living's Orange Blossom Facial Wash is another great cleanser to start your skin care regimen with. It contains Lavender, Patchouli, Lemon, and Rosemary Essential Oils. It also contains MSM (sulfur competent that is highly prized in skin care products), Wolfberry Seed Oil, Calendula Extract, Orange Blossom Extract, Ginkgo Biloba, and Grape Seed Extract. When you properly cleanse your face, this will gently remove environmental toxins, makeup, sweat, and dead skin from your pores. Healthy skin needs to be able to breathe and Young Living's gentle cleansers will not strip the skin's natural oils if used properly. What about exfoliating? Next time we will learn a bit about how and when to exfoliate. Feel free to comment; however, please do so respectfully. Feel free to ask questions or share your experiences with Young Living Essential Oils. Hi, my name is Crystal and I am a wife and mother who seeks to honor and serve the Lord by being a good steward of the family the Lord has entrusted me with. I strive to do this by living life well through using the safest non-toxic means possible. Young Living Therapeutic Essential Oils is one way of accomplishing this goal. Please join me on my journey of Living Well With Essential Oils! DISCLAIMER: The information provided on Southern SCENTSabilities is for educational purposes only. It is not intended to prescribe, diagnose, treat, cure, or prevent any disease. It is your responsibility to educate yourself and address any health or medical needs you may have with your physician. Please seek professional help when needed. Copyright © 2015, Southern Scentsabilities. All rights reserved.. Picture Window theme. Powered by Blogger.